Four women are on trial in Saudi Arabia told a court on Wednesday they had been subjected to torture including sexual assault whilst in detention for more than nine months. The four women are; Loujain al-Hathloul, a Human rights campaigner, Hatoon al-Fassi, university professor, blogger Eman al-Nafjan and academic Aziza al-Yousef, who is in her early 60s. 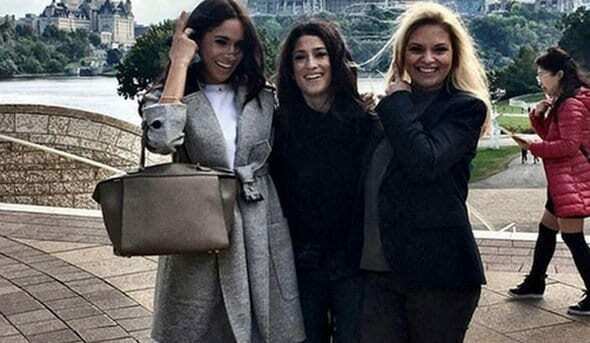 Loujain Al-Hathloul, is seen smiling next to Duchess of Sussex, Megan Markle, once graced Vanity Fair alongside the Duchess of Sussex, is languishing in a Riyadh prison cell after being jailed for fighting for women’s rights. In a case that has sharpened Western criticism of the Saudi Kingdom has drawn global attention after last year’s murder of journalist Jamal Khashoggi. Nine prominent US senators wrote a public letter last week asking King Salman to immediately release of prisoners held on “dubious charges related to their activism”, citing many of the women currently on trial. The women, including Hathloul, were held in solitary confinement for months and subjected to abuse including electric shocks, flogging, and sexual assault, rights groups have said. The Saudi public prosecutor has said his office investigated the allegations and concluded they were false. No-one has been unable to reach Qahtani since he was fired in October over the Khashoggi murder. Loujain asked for another month to respond to the charges after being granted only two hours with a lawyer to prepare. There was no immediate response from the court. Western diplomats and media were denied entry to the hearing and escorted from the building, despite petitioning to attend amid global scrutiny of the case. Three dozen countries, including all 28 EU members, Canada and Australia, have called on Riyadh to free the activists. British Foreign Secretary Jeremy Hunt and his US counterpart both raised the issue during recent visits to the kingdom. It remains to be seen if Riyadh will bend to international pressure, with the women possibly receiving acquittals or pardons, or pursue harsh sentences in a case critics say has revealed the limits of the crown prince’s promises to modernize Saudi Arabia.